Pope Francis gestures as he answers to a journalist's question during a press conference aboard of the flight to Rome at the end of his two-day visit to Ireland, Sunday, Aug. 26, 2018. The Catholic Church is in crisis. Pope Francis has taken a softer tone against traditional church pariahs such as divorcees and homosexuals, and last week issued a public apology for the years-long scandal involving the molestation of children by priests. The pope has gone as far as to say that he is willing to void the vow of celibacy if the priests themselves want it. The scandals might lead many Catholics to question their devotion to the church. They should remember, however, that as in any major religion, the primary focus should be on the deity and its message, not on individual clergy who can have moments of weakness and doubt. To many people Francis is a humble reformer working to make the church, which is declining in devotees, more relevant to the modern world. Others, including traditionalists within church hierarchy, see him as a maverick who is turning his back on long-held church doctrine and traditions. Some cardinals already have called for the pontiff to resign. All the while, more scandals regarding sexual abuse by priests continue to become public. The most recent involves an Aug. 14 grand jury report that alleges rampant and systemic sexual abuse of children in Pennsylvania. The report charges that some 300 priests had abused more than 1,000 children over 70 years in six of the state’s eight diocese. Church officials who dealt with allegations of abuse by simply moving priests to other dioceses, which only enabled them to find new victims, the report alleges. 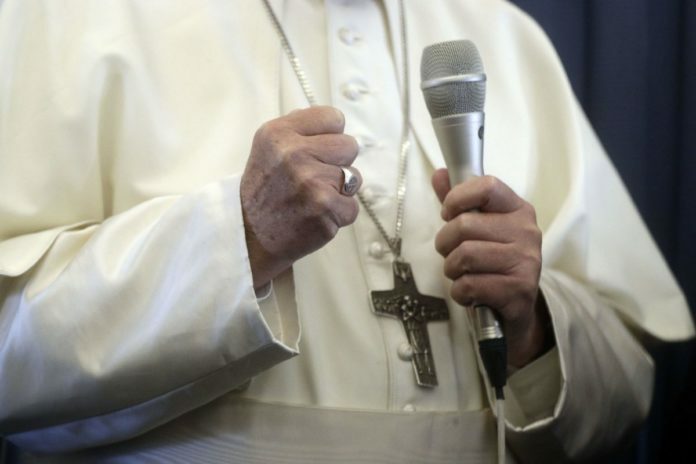 Former Vatican ambassador to the United States Carlos Maria Vigano, a longtime critic of the pope, alleged that he told the pontiff of the allegations and that Francis did nothing and even aided the cover-up. The pope has refused to address the allegations. Similar allegations against the church were made in the Rio Grande Valley with regard to the 1960 death of Irene Garza, a McAllen schoolteacher. A young priest, John Feit, was a person of interest in the case and was reassigned to a Missouri monastery after police questioned him. Feit, who later left the clergy, was convicted last year of Garza’s murder and sentenced to 57 years in prison, the same amount of time it took to adjudicate the case. That case, as in the sexual abuse cases, left many Catholics feeling that church officials preferred to assist and protect the accused priests instead of the people they had victimized. It’s been enough to shake the faith of many Catholics, who comprise a majority of Valley residents who identify themselves as religious. We are reminded, however, that while many people believe those who enter the priesthood are graced by God, they remain human, and fallible. Although they often are seen as Christ’s representatives on Earth, the church traditionally has warned against focusing too much on individual priests. During his tenure as head of the Brownsville Diocese, Bishop Raymundo Peña routinely moved priests around diocese parishes, ostensibly so that the congregations would not become too endeared with one priest and forget that their ultimate devotion should be to Jesus Christ and His teachings. That is a message that Catholics should consider during this time of discord within the church: The primary message of the Catholic faith remains the same, regardless of any changes in church hierarchy. That message is one of love, forgiveness and a life devoted to helping others. We trust that local clergy are spreading that message at local parishes, and are reminded that the Catholic Church has undergone crisis and change in the past. The faithful are encouraged to pray and have faith that the issues that currently affect the church will be resolved.